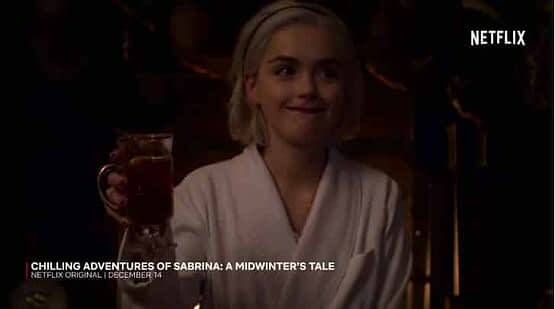 Looks like “The Witching Hour” had a few more minutes left to it than viewers of Netflix‘s Chilling Adventures of Sabrina realized. 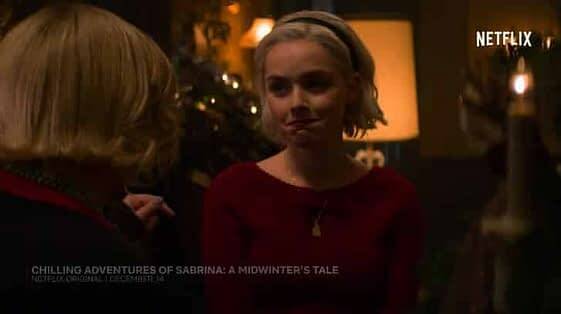 Series creator/showrunner Roberto Aguirre-Sacasa announced a holiday surprise for the horror/drama series’ faithful fans: a holiday-themed special series episode entitled Chilling Adventures of Sabrina: A Midwinter’s Tale will be released December 14 on Netflix. With the series’ first season premiering on the streaming service, production on the second season of the popular series is currently underway and expected to premiere some time in 2019. Riverdale showrunner Roberto Aguirre-Sacasa, who also serves as chief creative officer of Archie Comics, penned the script for the series. Aguirre-Sacasa executive produces alongside Riverdale collaborators Greg Berlanti, Sarah Schechter, Archie Comics CEO Jon Goldwater and Lee Toland Krieger. The drama hails from Warner Bros. Television-based Berlanti Productions.